Becky never got into Hogwarts, so she settled on becoming an art director instead. 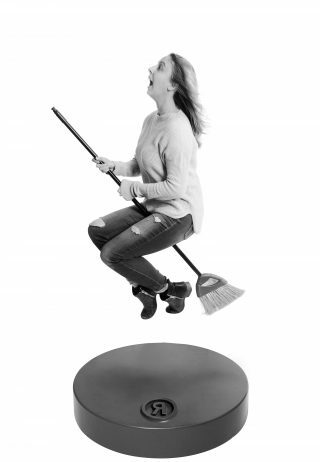 Now she can Photoshop herself into magical situations, such as riding a broomstick. Becky has worked on brands such as Kraft Peanut Butter, Tourism Nova Scotia, K-Y, Subaru, and Becel, to name just a few. She’s had winning work in international advertising award shows such as Cannes, London International, New York Festivals, and Communication Arts.